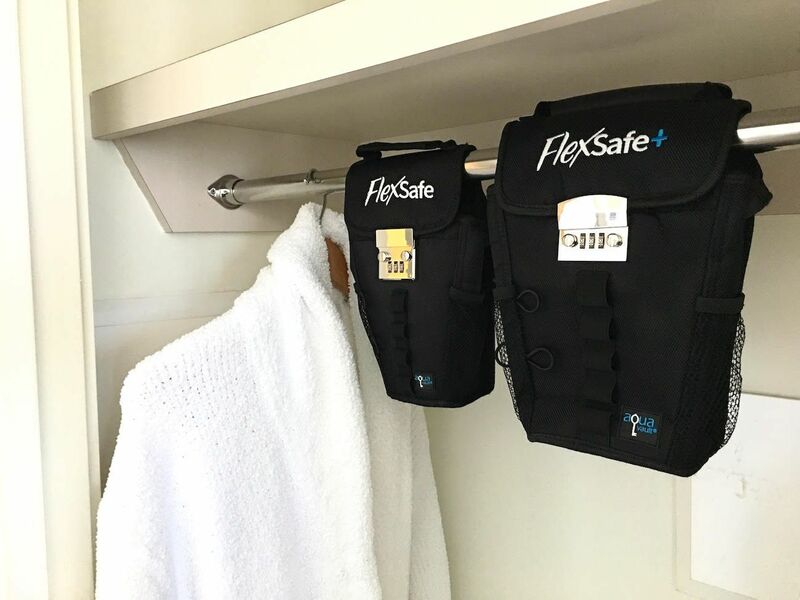 Protect your gear like never before with the FlexSafe+ Portable Smart Travel Safe which features durable materials and a motion sensor. 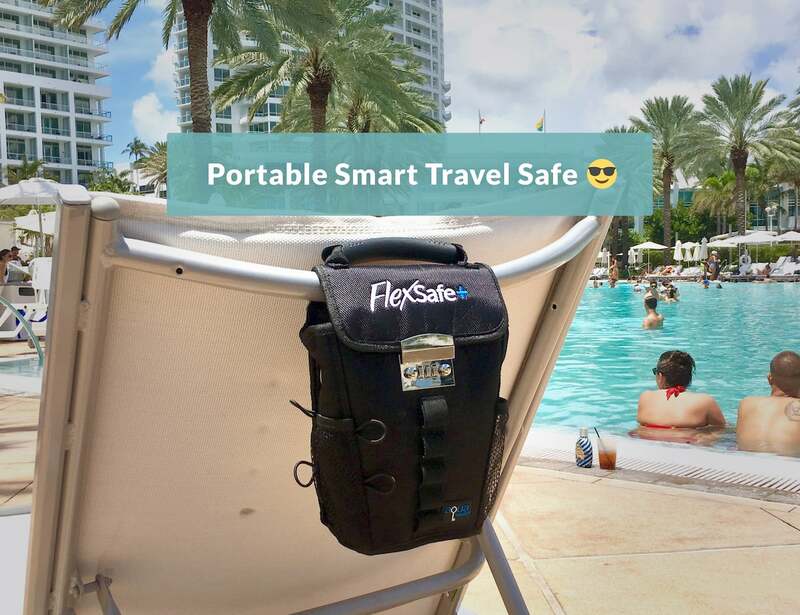 Protect your gear like never before when you use the FlexSafe+ Portable Smart Travel Safe. This safe offers high-quality materials and the latest technology so you can have total peace of mind. 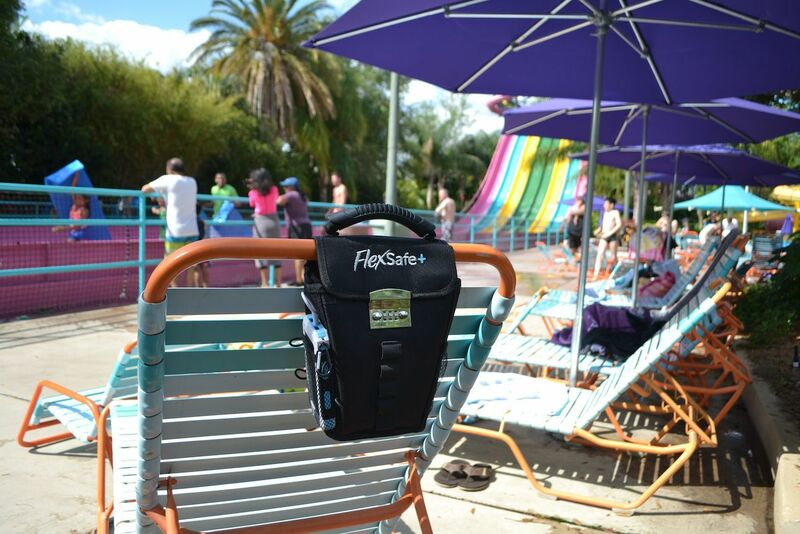 The FlexSafe+ features a built-in motion alarm. 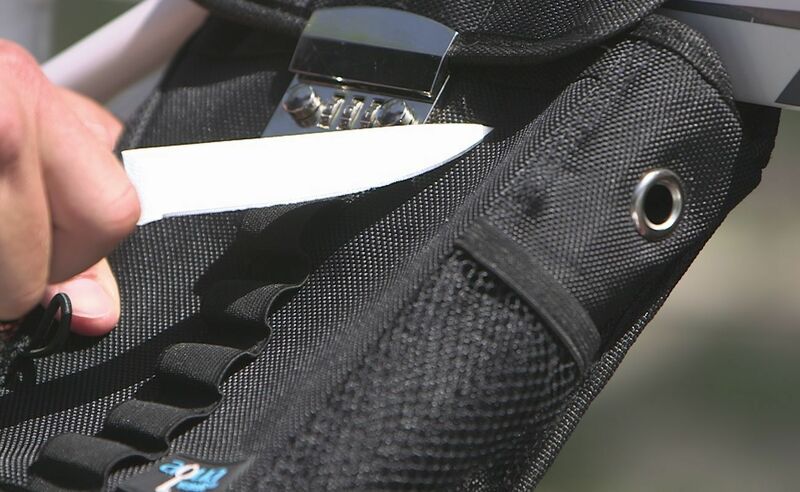 Should your safe move in any way, it will emit a high-pitched alarm to stop the thief in their tracks. 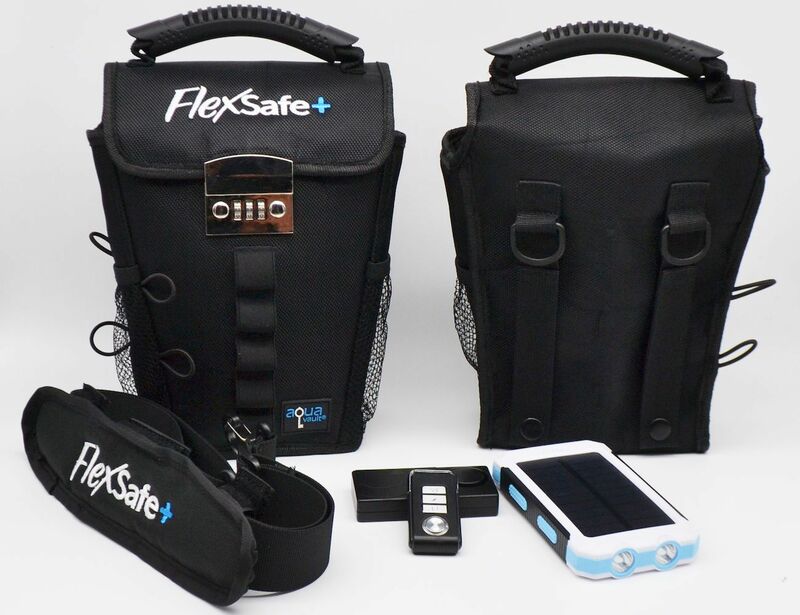 The FlexSafe+ features ultra slash-resistant material. 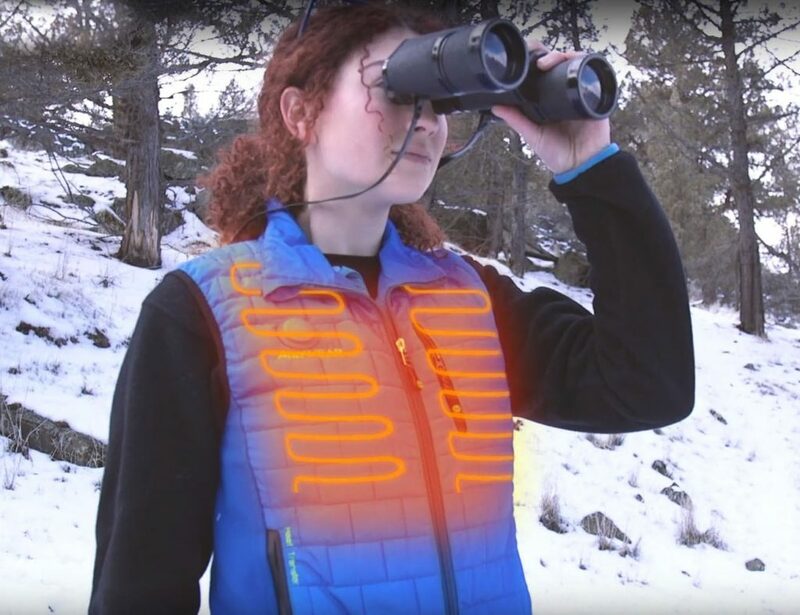 In fact, it uses five layers including nylon, RFID-blocking material, 3mm EVA, slash-resistant material, and another layer of nylon. 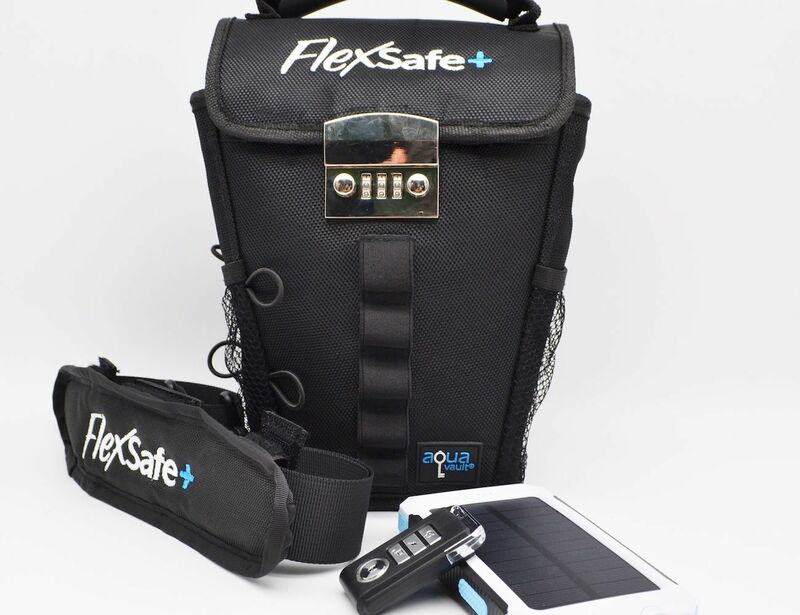 This combination gives the FlexSafe+ water resistance and all-over protection. 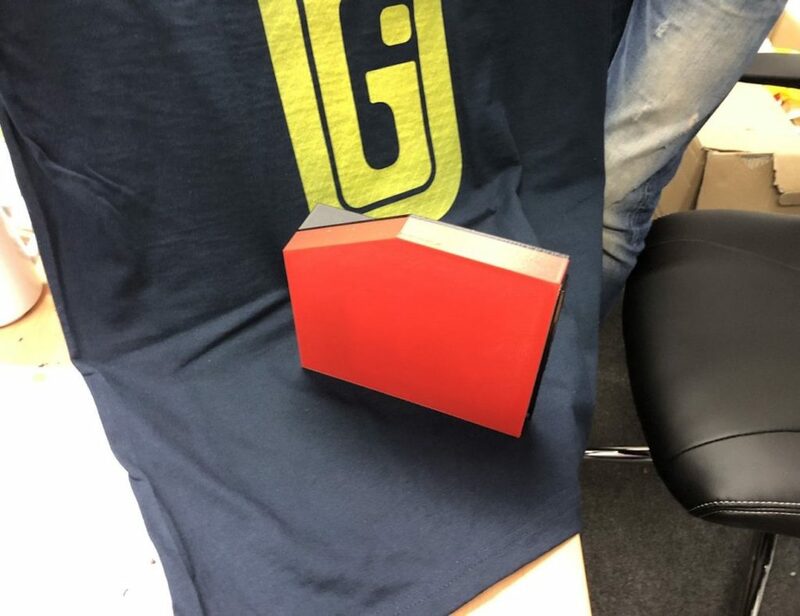 Even digital thieves are no match for the RFID-block capability. 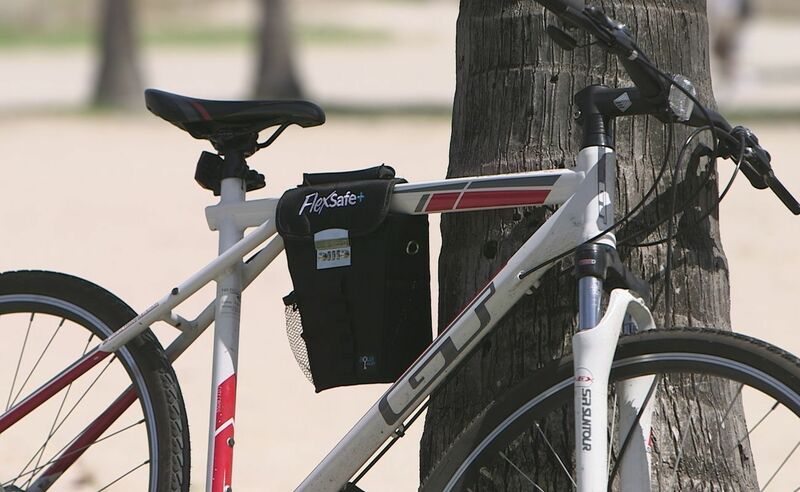 The safe itself has a fold-over flap that wraps around anything from your bike to beach chairs. It’s also great for hotels and dorm rooms as an in-room safe. 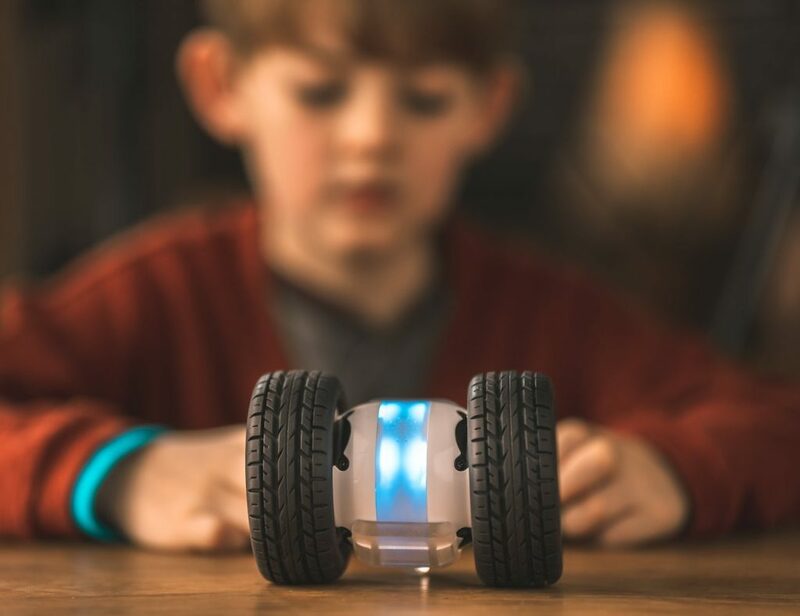 If that’s not enough, it also comes with a built-in power bank complete with a solar power backup for your devices.